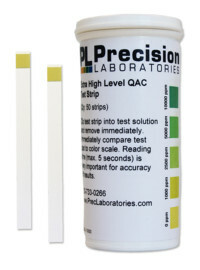 The use of a Chlorine Dioxide Test Strip can provide fast and reliable monitoring of chlorine dioxide levels, including residuals. 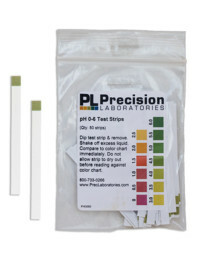 The High Level Chlorine Dioxide Test Strips detect levels from 0-500ppm in increments of 0, 10, 25, 50, 100, 250, and 500. Chlorine dioxide has a higher oxidation capacity than chlorine or ozone, which means lower concentrations of chlorine dioxide can be used to achieve effective disinfection. 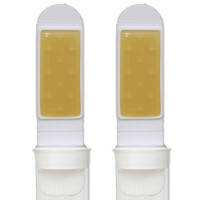 It can also be used when large amounts of organic matter are present. 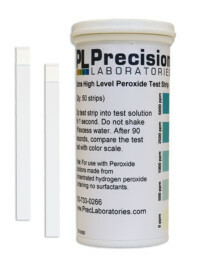 Using a cup-size sample, immerse the Chlorine Dioxide test strip for 2 seconds. Remove the strip with the pad face up. Do not shake off excess water. 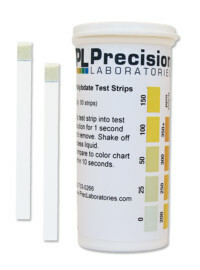 With pad still facing up, wait 10 seconds and read the strip against the color chart. 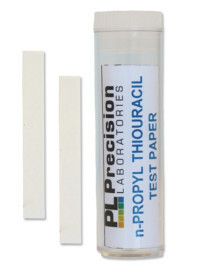 Discard test strip after 30 seconds.